Email has enabled us to communicate much more quickly than we could a generation ago. In the workplace it's the default mode of communication. Unfortunately the volume of even non-spam messages can be overwhelming, with notifications from many social networking sites contributing to the reduced signal-to-noise ratio. Last night I received a message from a colleague relaying concerns from some Mayo staff about email notifications from Yammer, our internal social networking platform, and wondering how they can unsubscribe. So I thought it would be most helpful to do a show-and-tell on reducing email volume here, and cover not only Yammer but also Facebook and Twitter. Step 1: When signed in to Yammer, click on the Gear Icon and the Edit Settings link under your name. If you're getting daily notifications, you may want to switch to weekly...or never. 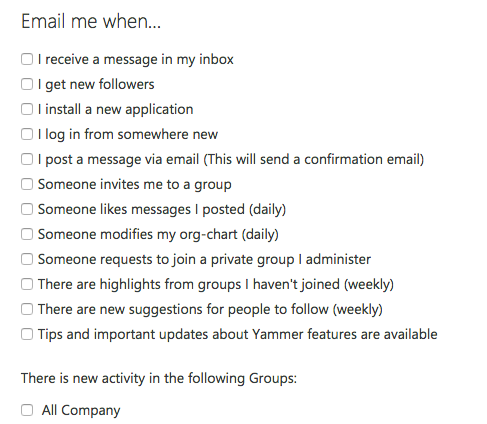 Note that below All Company there will be a list of other Yammer groups you may have joined. By deselecting any checked boxes and then clicking the Save button at the bottom you should eliminate unwanted updates. 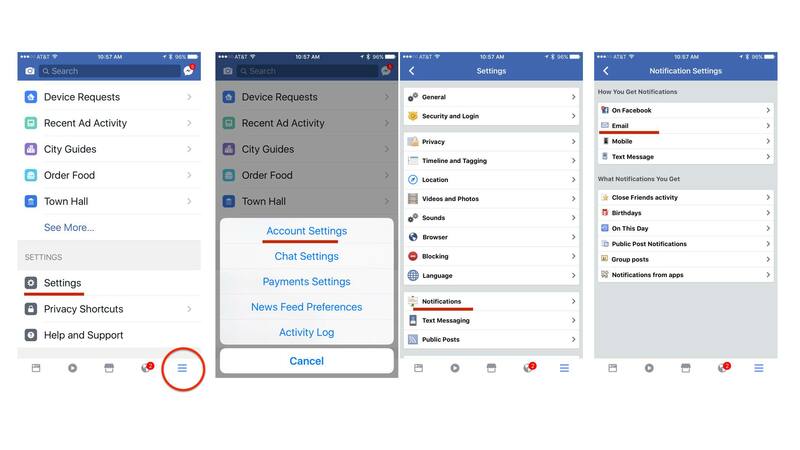 When you're signed into Facebook, click this link to manage your email notification settings. See the steps below (click to enlarge) for adjusting your notifications to minimize emails. Start by clicking on your avatar in the upper right corner and then choose "Settings and privacy." I choose to receive emails when someone sends me a direct message, but otherwise get my notifications through the mobile app. 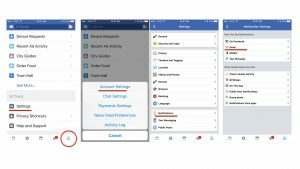 By using the mobile apps for these sites, you can still receive notifications of updates that may matter to you, but without introducing more messages into your email inbox. It's much quicker and easier to clear mobile notifications than to handle emails. 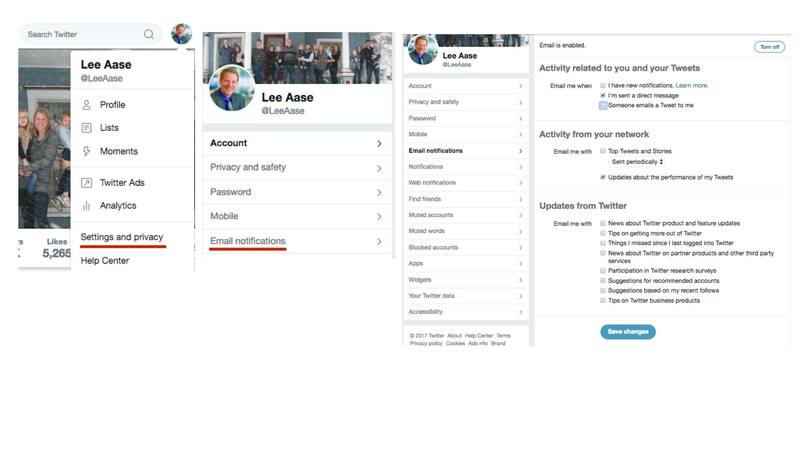 Adjusting your notifications is a great way to stay informed and connected while maintaining control of your email. Lee Aase is the Director of the Mayo Clinic Social Media Network, and leads Mayo's Social and Digital Innovation Team. Email has enabled us to communicate much more quickly than we could a generation ago.